Kids would come and feed the three friendly cows, clean them, walk them around the farm and learn all kinds of interesting things about them. But this was only the beginning of Sibylle’s project. 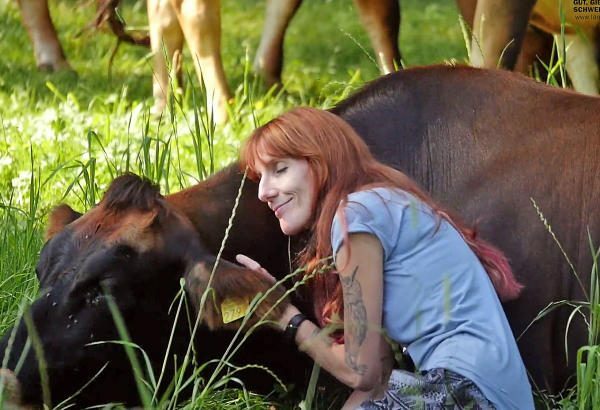 She soon started looking for sponsors, animal lovers willing to pitch in 5 Swiss francs a month to cover the costs of raising them, in exchange for cow cuddling sessions. The 25-year-old came up with the idea for cow cuddling therapy after reading about it being used in the Netherlands to help people slow down their hectic lifestyle and relax. She thought Svea, Sven and Svenja were perfect for the “job” and for the last year, Zwygart has been organizing cow cuddling sessions on her family’s farm in Tenniken. A cow cuddling session starts with a brief theoretical introduction, where visitors learn about the animals. 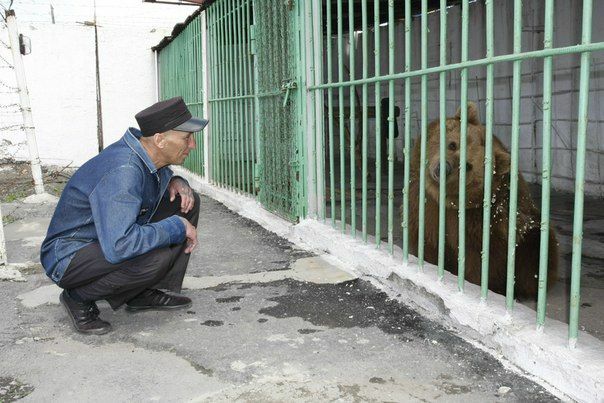 Then, they get to know the animals better and earn their trust by patting and cleaning them. 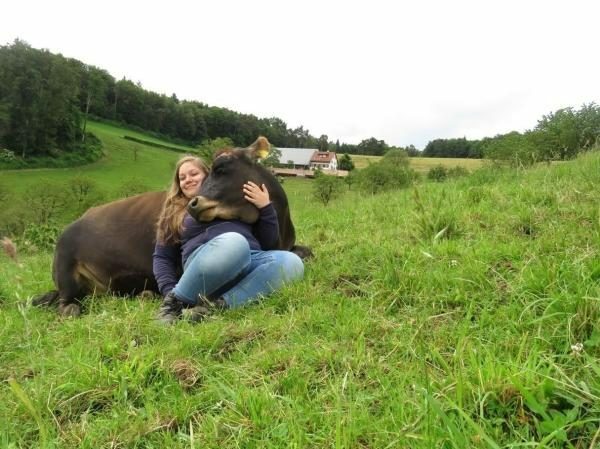 Once a mutual trust between the cow and the person has formed, it’s time for the most enjoyable part, the cuddling. The whole things takes about two hours. 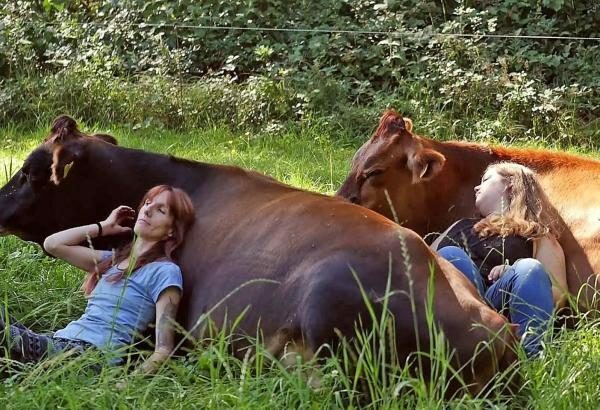 Cow cuddling on the Gisiberg farm is available to everyone, even kids above the age of seven. 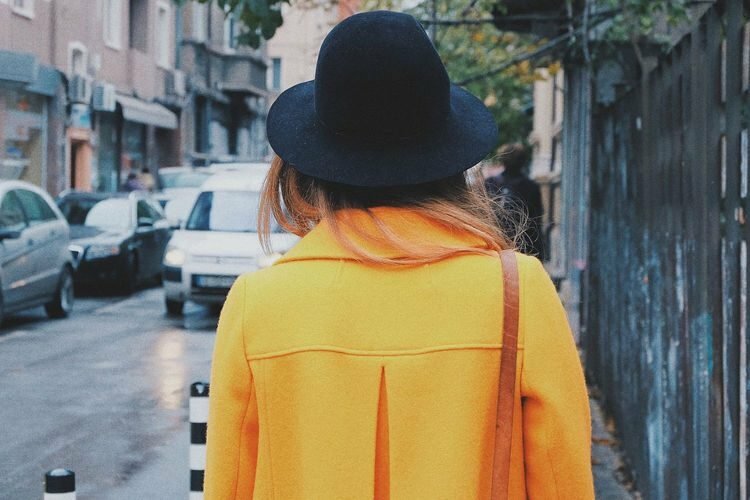 Each session costs 50 francs ($50), which is not very much by Swiss standards, but Sibylle says that she has only had 10 takers in the last year. 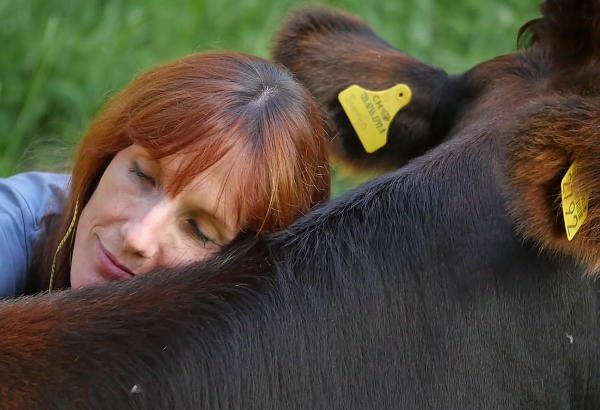 However, the expert agrees that cows can be trained to accept cuddling, but cautions people to earn the trust of the animals before getting to close to them and avoid making sudden and large gestures with their hands so not to scare them. If cows just aren’t your kind of animals, perhaps you’d be interested in a session of goat yoga instead. Or if you’re more of a pig person, head over to this pig sanctuary in Holland, where you can chill with friendly hogs.